Environmentalists are constantly searching for more efficient ways to heat a greenhouse. One way to cut down on heating costs, is with the use of a heat sink. A heat sink takes advantage of the heat and solar energy that exists during the daytime hours. 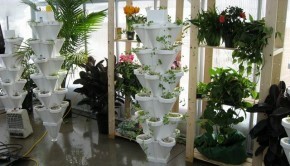 There are various designs for a heat sink that can be personally constructed, but the most common model is a dugout below the floor surface of the greenhouse. The dugout is filled with absorbing materials that soak up the heat from the sun. When the colder night air falls, the heat from this dugout (heat sink) rises and warms the greenhouse. The hole that you dig should be at least 3 to 4 feet wide as well as deep. Insulate the hole using polystyrene and foil and other materials that allow air to pass while storing heat. Examples are; crushed glass, pea gravel, small pieces of metal and fire bricks. Painting these materials black will increase the efficiency of absorbing heat. 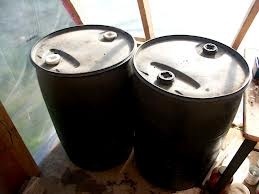 Another simple method of creating a heat sink is to use a black container with a lid, such as a barrel. Fill it with water and place it a couple of inches away from a wall in the sunniest area of your greenhouse. Large drums painted black are popular for the larger greenhouses because the more space to heat, the larger the heat sink is required to do the job. During the day the drum will absorb the heat and expel it when the temperatures cool, warming the greenhouse. To design a heat sink that is right for you, be sure to give consideration to the amount of room that it will use up. Keep in mind that usually you need less heat at night if the greenhouse is packed with plants.